Your time is valuable, so don’t spend it waiting around for a print job to finish. 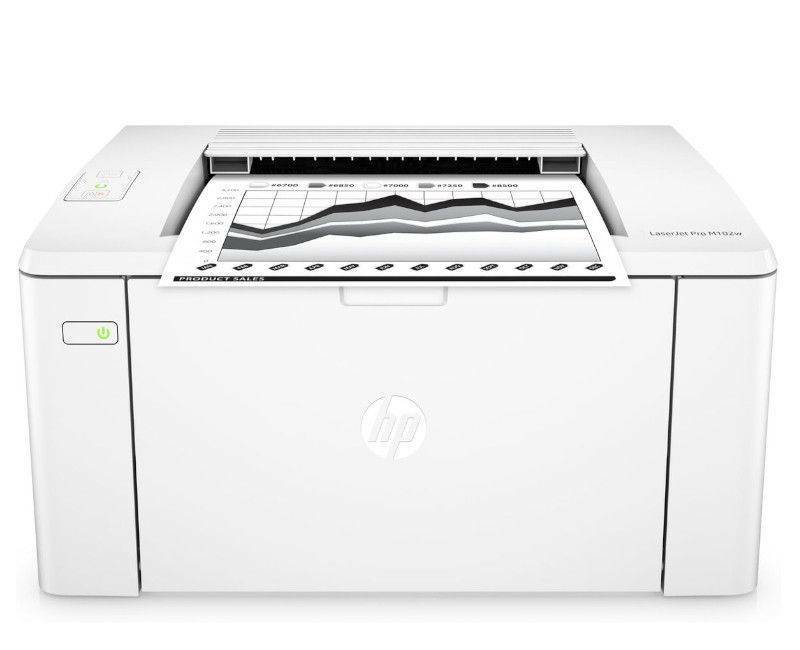 Reduce wasted time and cut costs at the same time when you pick up the HP LaserJet Pro M402n. Our family of HP LaserJet Pro printers is designed to give you the power to effortlessly outfit your entire office with a minimal solution for printing. It helps your team get the documents they need with the power of a lightning-fast 40 pages per minute print rate. 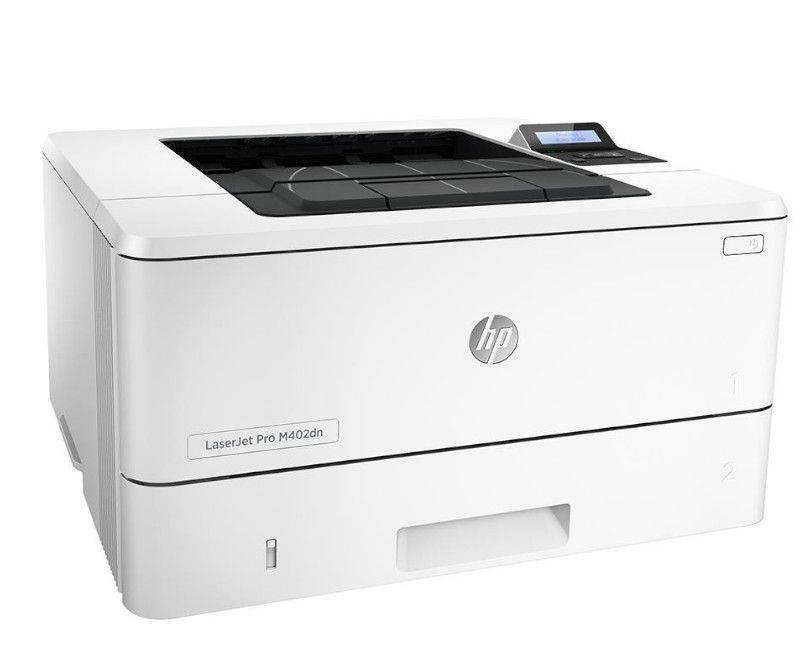 The HP LaserJet M402n is More than just fast, though. It prints in stunning detail at up to 1200 dpi to deliver more vibrant images, sharper text, and richer color. It’s the best way to see your documents and pictures and to help you provide a clean, professional presentation. Optimize the way you print with HP JetIntelligence. This feature offers a seamless way to maximize the life of both your toner and your printer to save money, time, and frustration. It works by gathering key information from the toner cartridge, including component rotations, toner usage and wear, and environmental conditions. The tech then intelligently analyzes all of these metrics to deliver a clear gauge of your printer’s toner status and uses these insights to react to cartridge wear in real time, improving performance in the process. You’ll be left with a clear understanding of how much toner you have remaining, so you can be better prepared. Plus, with the help of HP JetIntelligence, you’ll get more prints out of your toner cartridges than ever before, lowering the number of times you need to replace them each year and ensuring constantly pristine prints in the process. In the past, you could only start a print job if you had a computer handy. We know that’s not always ideal. When you’re running from meeting to meeting, it can be difficult to access your computer to get the documents you need. You can now conveniently print what you need right from your phone or tablet. 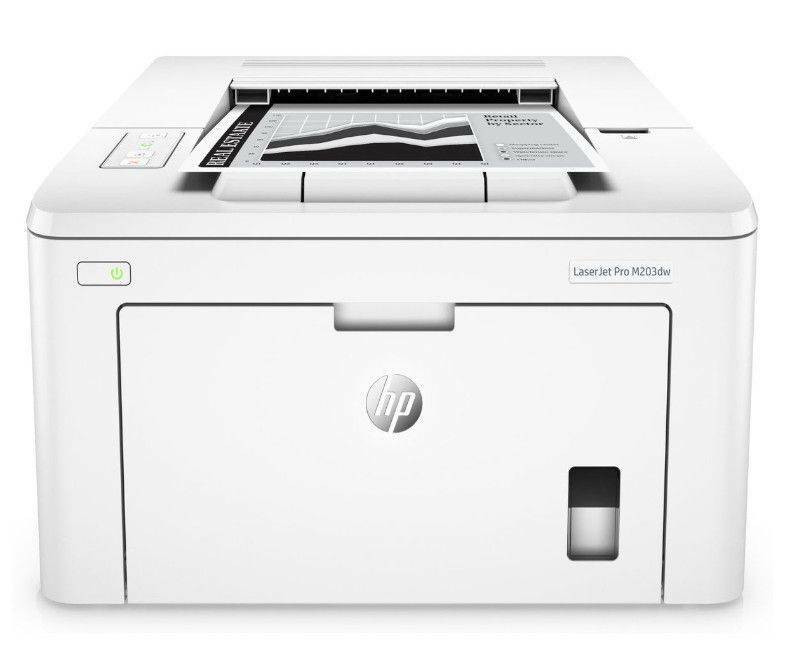 Even if your computer is in another state, you can still print documents using the HP LaserJet Pro’s support of Apple AirPrint™, Google Cloud Print 2.0, HP ePrint, and other compatible apps. 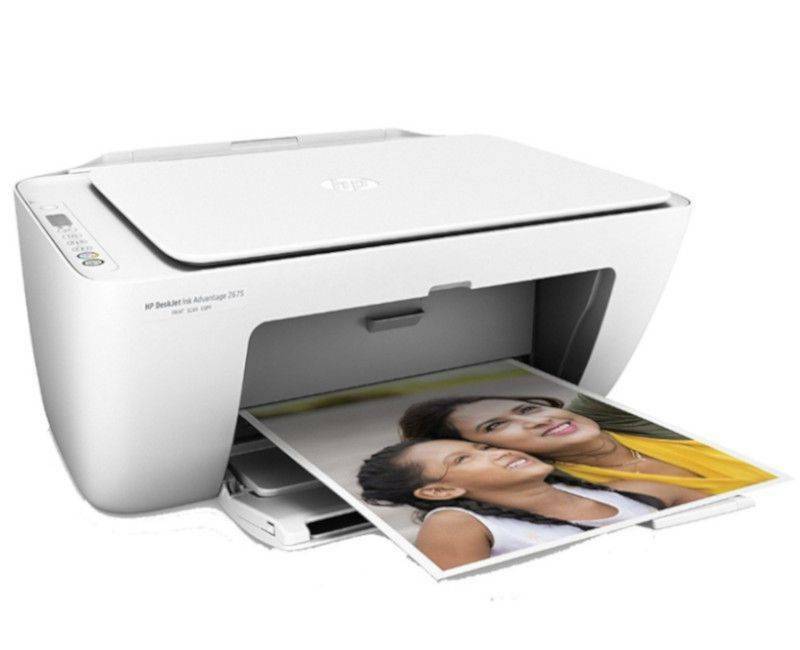 All you have to do is open the document or photo you want to print on your device, select which HP LaserJet Pro you want to send it to, and watch it print in record speed. Want to reduce paper waste and improve the way you create documents? Consider the HP LaserJet Pro M402dne to print faster and in better quality while also gaining the advantage of two-sided printing. Effortlessly print twice the amount of content you normally would while only taking up half the paper - all without sacrificing quality. This results in printouts that take up less space for an office that’s more environmentally friendly. Don’t settle for big bulky printers that take up valuable space in your office. 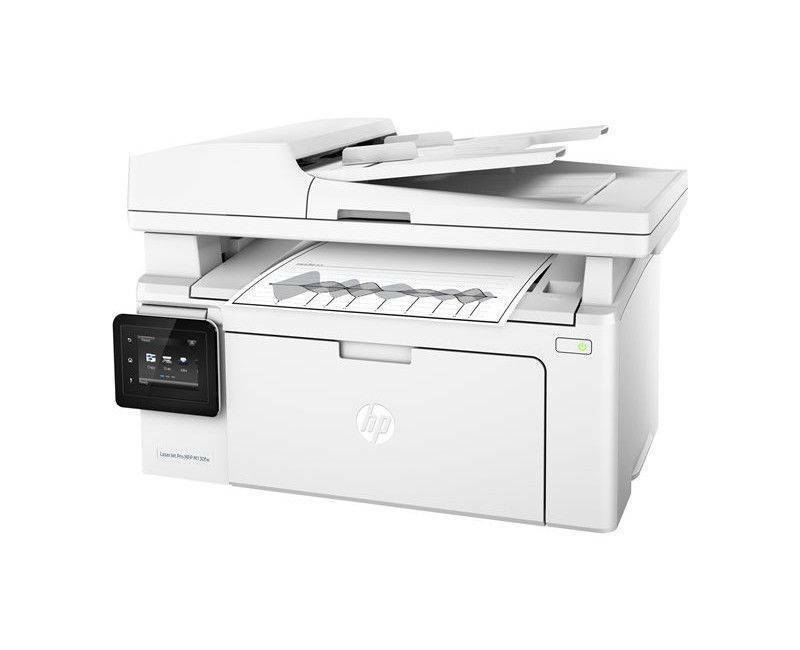 When you choose the HP LaserJet Pro M402n laser printer, you’ll get a device that’s incredibly fast, easy to use, and occupies a minimal footprint so you can make better use your space. Plus, because of how efficiently the HP LaserJet Pro handles toner, you won’t have to use as much space storing extra cartridges and reams of paper. 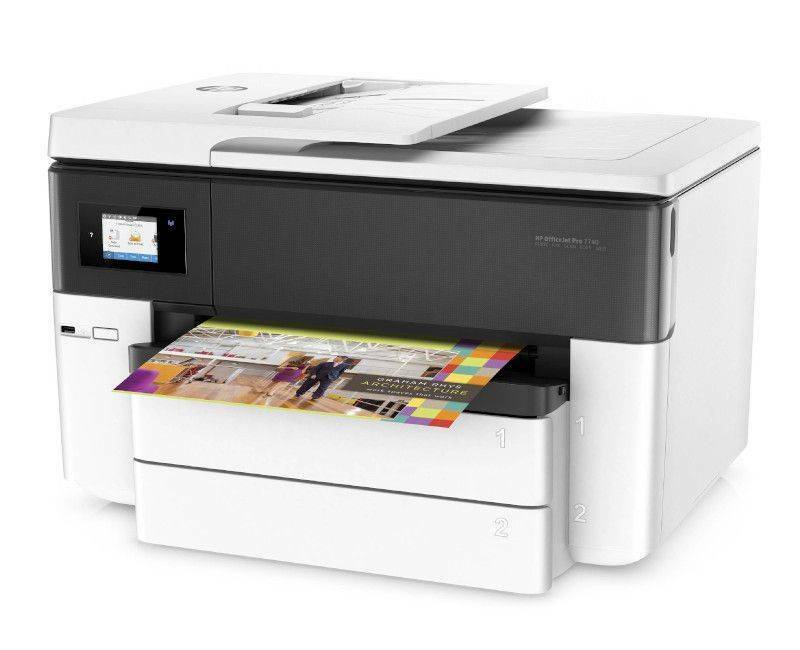 With a focus on usability and the inclusion of mobile printing, this printer is a seamless addition to any office. Give your team a way to effortlessly print what they need without a complicated setup process and regardless of their choice of device. 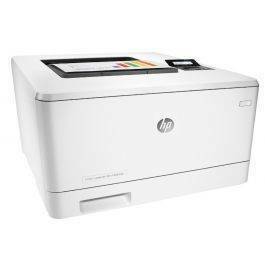 Speed up work, increase productivity, and make it easier than ever to get things done with the HP LaserJet Pro M402n.